Susan K. Williams Smith, MDiv, DMin, has formed a private not-for-profit organization aimed at empowering urban youth all over the United States through improved literacy. 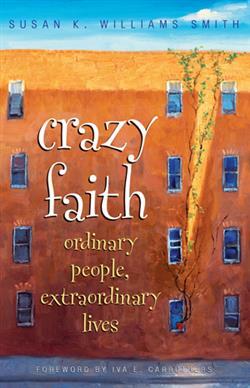 "Susan K. Smith Ministries" is operating as "Crazy Faith Ministries," aiming to "worship through service." She also has her own blog, "Candid Observations," which concentrates on the intersection of race, politics and religion. Dr. Smith is the author of Forgive Who? The Struggle to Obey God's Awful Command (Pub (United Church Press, 1999), and Carla and Annie (African American Images, 1989), a children's book. This former news reporter and talk show host makes her home in Gahanna, Ohio.